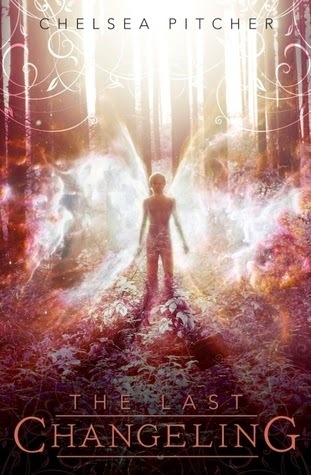 The Last Changeling was a riveting novel about fairies and humans. This book had two amazing main characters whose differences bring them together in an epic battle between good and evil. The main characters, Taylor and Lora, are from two very different worlds and collide when Lora comes out from the fairy world to visit the human one on a mission. Lora meets up with Taylor and then the rest comes in a whirlwind of romance and action. However, Lora has a dark secret she has been hiding from Taylor. She is the Dark Court Princess and she has been sent to this world with a goal to capture someone needed to overthrow her mother, him. She doesn't agree with her mother's ways and persuaded the Bright Court queen to give her a quest. He is her quest. But, in the end, love always wins. Or does it? There are many twists and turns the book takes as you travel along its pages. It enraptured my attention and captivated my mind. It was beautifully written and had a wonderful, flowing plot that travels along with you, leading from one scene to the next. It also raises awareness about LGBT rights, which was a plus for me. Although some people do smoke, drink alcohol, and do other harmful things, it was a fabulous read. There is mild cursing. On my "Amazingly Fabulous Book Scale" I would rate this book a perfect 10 because I enjoyed it that much! Yay!